My son has a lovey named Blue Bear. 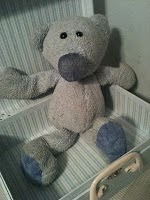 Blue Bear has been with us since our son was born and the two of them have been through a variety of trials together. When my son was younger he did everything with Blue Bear. Blue Bear came to meals at the table. Blue Bear managed to skirt the "No Blue Bears outside!" ordinance and sneak in some occasional fun-time out in the sandbox. Blue Bear was a naptime must-have, and no resting would commence until he'd had been located and tucked safely under my son's arm for the duration. As my son grew older Blue Bear's role in his life naturally diminished. We might go a week without hearing anything about our son's once-beloved pal. I'd regularly fish old Blue Bear out from under the couch, where he'd been discarded in favor of brand new Power Ranger swords or race cars. ...which leads us to last week's incident. After his trip to school in the morning my husband forgot to drop Blue Bear back at the house. When my son got home and discovered that Blue Bear was missing... well, it didn't go all that well. Blue Bear was pretty upset that he was going to miss you when you got home from school, but he decided to make the best of his day at Daddy's office! 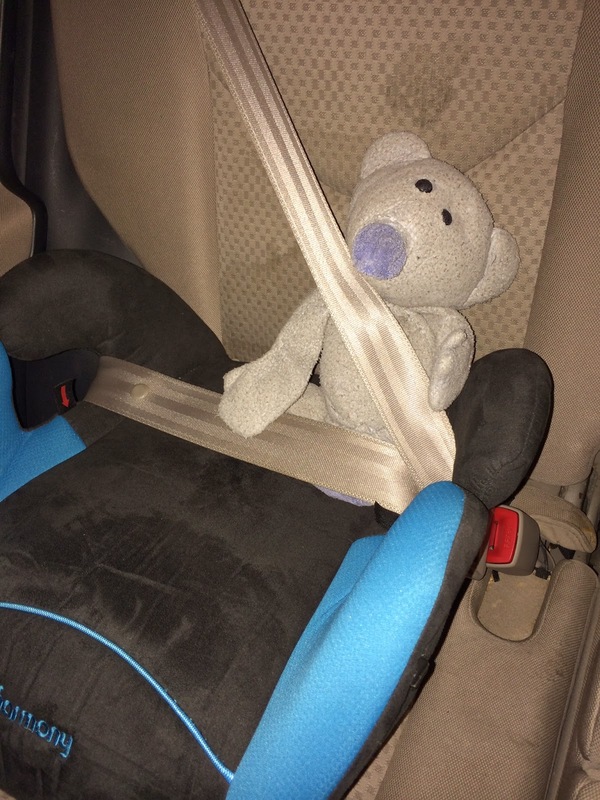 First off, Blue Bear always buckles up for safety! 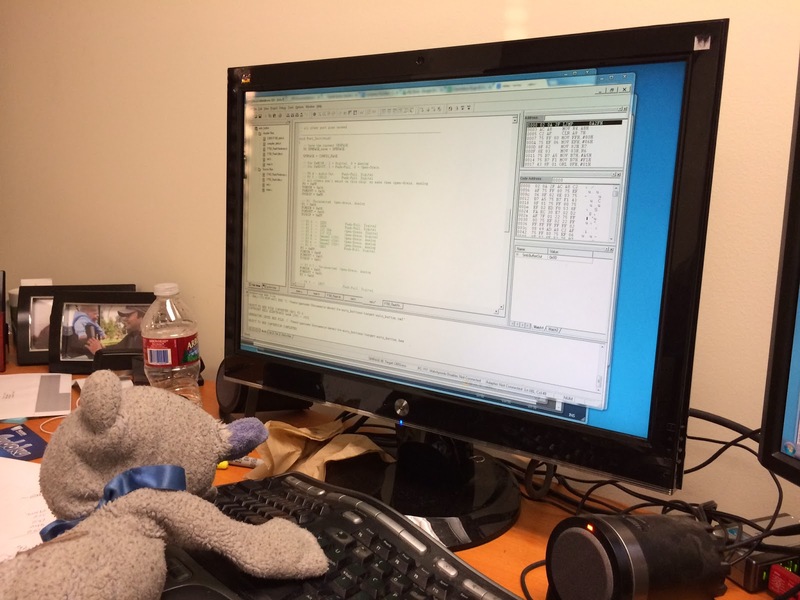 Blue Bear was pretty helpful showing Dad some coding shortcuts! Woah! Work is hard! 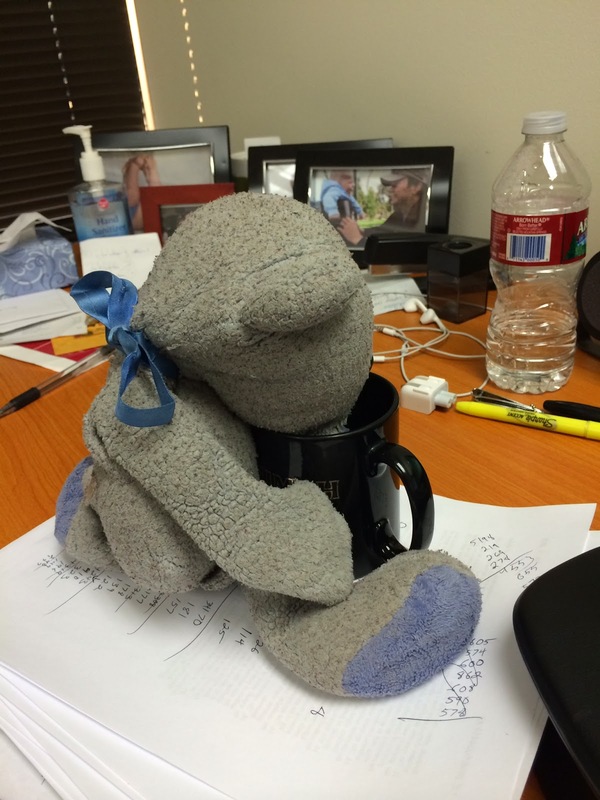 I'm afraid ol' Blue Bear is developing a wicked caffeine habit. 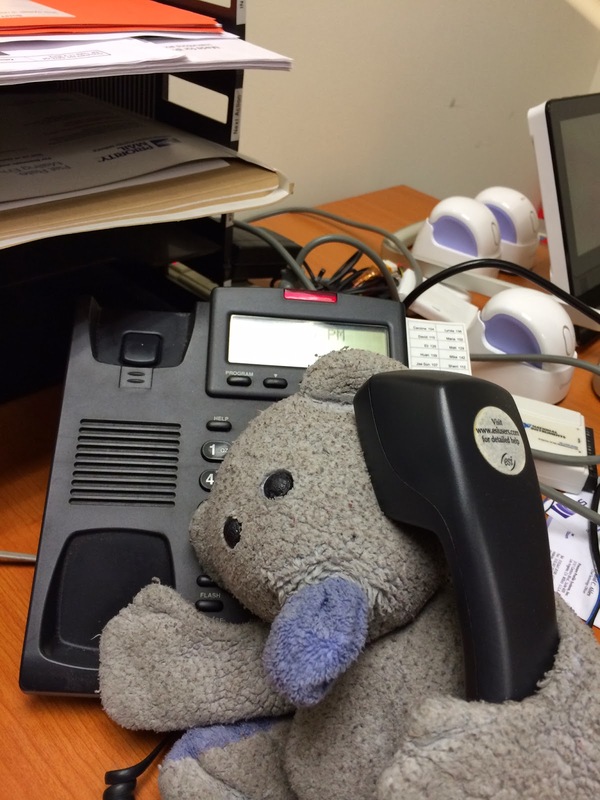 "Blue Bear speaking? How may I help you? Dad? He's not available right now -- please try your call again later." 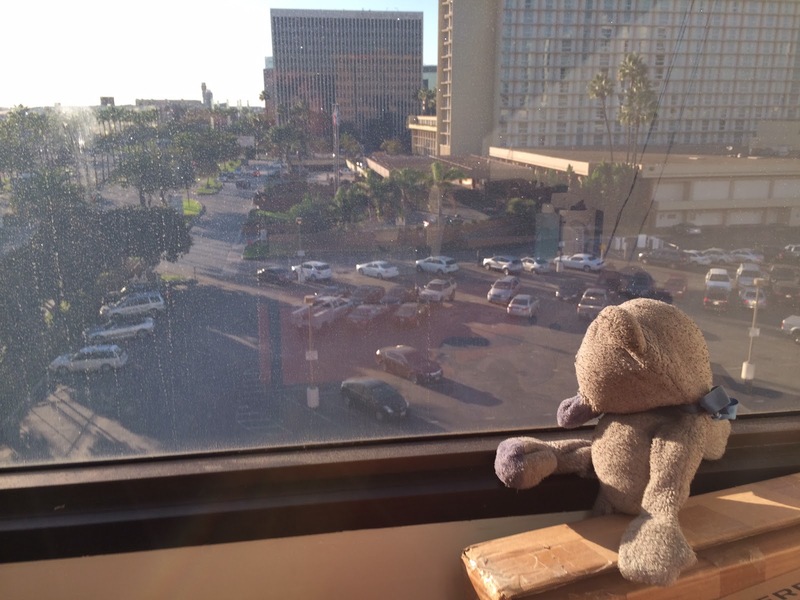 Sometimes even a Blue Bear just needs to collect his thoughts. Look! An airplane! AFTERNOON BREAK! 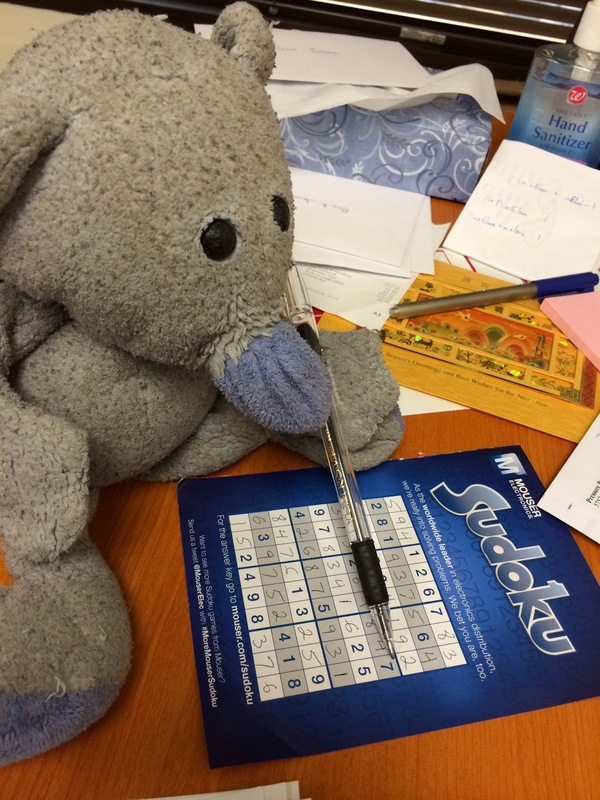 Blue Bear rules at Sudoku. 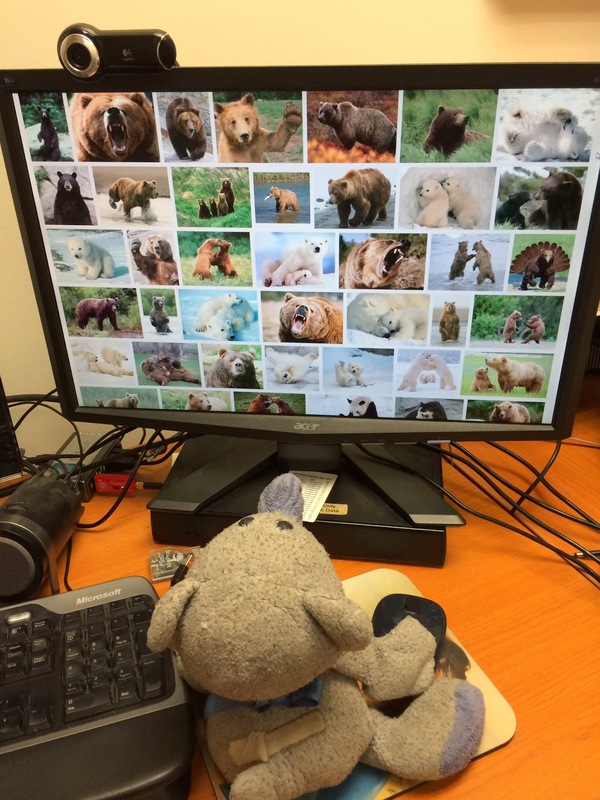 We're having a little trouble getting Blue Bear back on the job now that he's discovered Google. 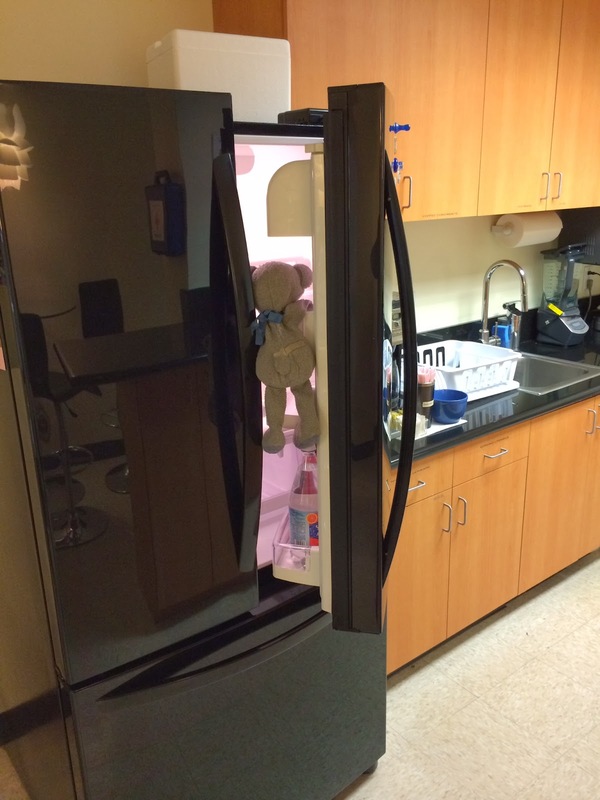 Blue Bear's favorite thing about coming to work with Daddy? It's gotta be snack time!!! 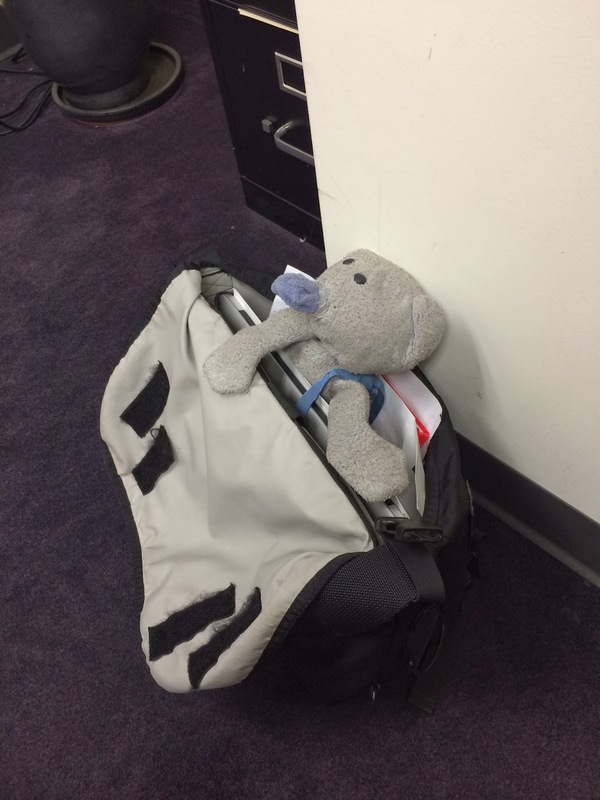 This has been one fun adventure -- but Blue Bear's ready to get home to his favorite guy. ...and that strange thing happened where a terrible day suddenly becomes one of our BEST. DAYS. EVER.